Milk cans were used in the U.S. dairy farming system in the beginning of the 19th century. Dairy farmers stored and transported the milk in these cans to customers in town. Even though milk cans were widely used and the only method of carrying milk at the time, it also impacted dairy farming negatively. In some cases, the milk cans were not cleaned perfectly and the method of transferring the milk to the customer proved to be ineffective and cumbersome. Dairy farmers had a particular way of milking cows during the 19th century. Farmers would milk the cows and the milk would be administered into the pail underneath the udder. The milk was then heated to kill off any bacteria that lived in the liquid. Before pasteurization, this was the best way to get rid of bacteria, but it wasn’t always effective. The milk was then stored and cooled in the milk can. The milk was transported within the milk cans by either the farmer or a delivery man. Customers would go where the farmer delivered it so they could get their share. They were required to have a jar or a pail so the farmer could pour milk from the can into that particular container for the customer. This method of transporting and distributing the milk was not ideal because, in most cases, the milk cans were carelessly washed and individuals who were late in getting their milk would get a lower quality of milk. 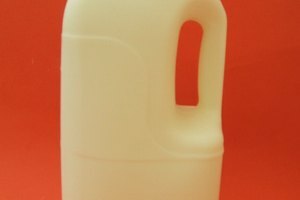 Individuals who came for their milk earlier in the day would get a higher quality of cream, whereas people later in the day would get a lower quality because of the separation. Despite its uses in storing and transporting milk, milk cans had a few faults. Milk cans lacked insulation, so on warm days the milk would start to sour in the can. There wasn’t an adequate covering for the milk cans. Plug covers and vegetable parchment were used to cover the can but these options were rather expensive. Milk cans were quite large, with the 10-gallon can being the most popular. In the 19th century, the government did not conduct full inspections on dairy farms. Rather than inspect the conditions of the farm, the government would inspect the milk and test the milk for the amount of solids it contained. This raised concern because some batches of milk came from barns that were unsanitary. 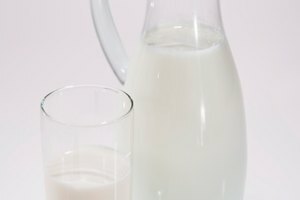 Can You Use Evaporated Milk Instead of Milk?